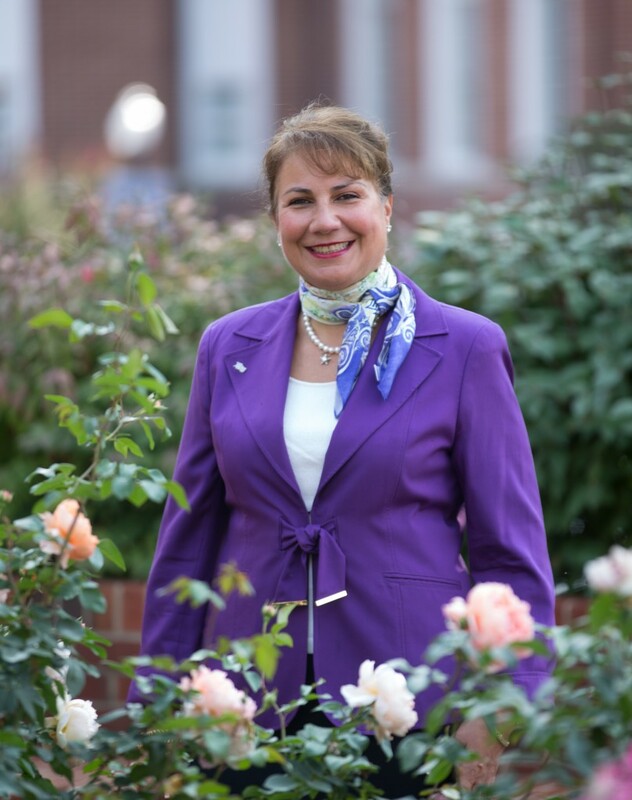 Beginning in 2006, HPU First Lady Mariana Qubein formed an Arboretum Committee to develop an Arboretum and Botanical Garden on campus. 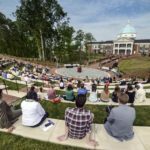 With the help of numerous committee members, the landscape team at HPU and a team of students, the Arboretum and Botanical Gardens have developed dramatically. 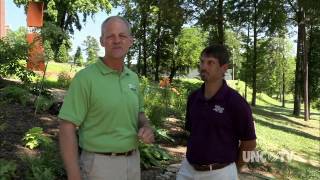 The goal of the Arboretum and Botanical Gardens is to beautify the HPU campus and preserve the environmental surroundings using what God has provided. All this is done with the goal of also providing unique educational opportunities for students and visitors alike. 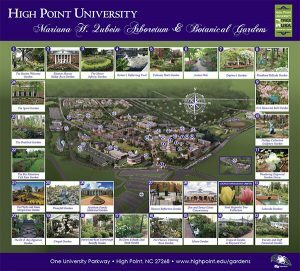 In recognition for her tireless efforts and vision to bring to fruition the Arboretum and Botanical Gardens, the High Point University Board announced the naming of the Mariana H. Qubein Arboretum & Botanical Gardens in late 2009. 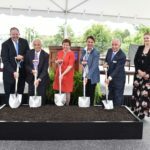 The First Lady has worked with faculty, staff, students, landscape designers, local garden clubs, donors and other institutions to seize the opportunity to create and establish a campus-wide arboretum that houses various themed gardens. At each of the 25 gardens, an information box is located containing a brochure featuring a map of that garden, and a list of included plants. The Arboretum is spread throughout the campus and is constantly being expanded with an overall goal of increasing the diversity throughout. Additions to the plant collections and expansion of the gardens is a continuous process so be sure to visit often and stay up to date through our website, Facebook page and Instagram account. Feel free to contact us at gardens@highpoint.edu or for information about honoring or memorializing a loved one contact Chris Dudley at 336.841.4530 and cdudley@highpoint.edu. Click the image below to view a GIS map of our collections. Each garden features an information box with a garden bed map and corresponding plant list. Please be sure to pick them up when visiting our gardens. For your convenience, all brochures can be found on each garden’s page. 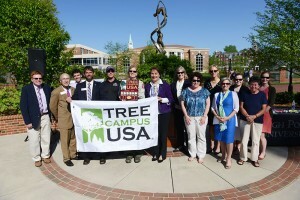 In 2015, High Point University was designated as a “Tree Campus USA” for the sixth consecutive year by the Arbor Day Foundation. 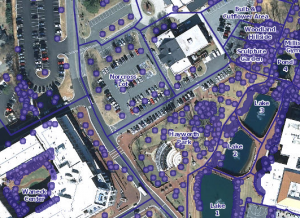 HPU achieved the title by meeting Tree Campus USA’s five standards, which include maintaining a tree advisory committee, a campus tree-care plan, dedicated annual expenditures toward trees, an Arbor Day observance and student service-learning projects. Tree Campus USA, a national program launched in 2008 by the Arbor Day Foundation with generous support from Toyota, honors colleges and universities and their leaders for promoting healthy trees and engaging students and staff in environmental stewardship. The Tree Campus USA® program helps colleges and universities around the country establish and sustain healthy community forests. 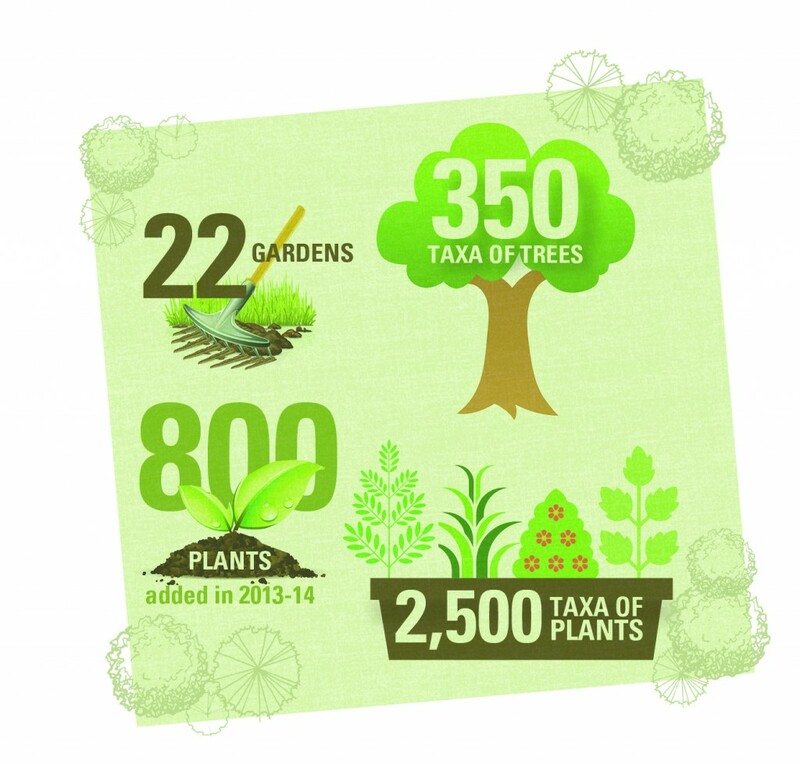 The Arboretum has grown to contain over 350 different taxa of trees in the collections and the collections overall grew to over 2500 different plants. 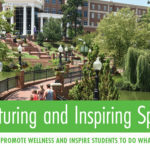 High Point University is one of eight campuses in the state to receive the award. There are several ways to support the Mariana H. Qubein Arboretum and Botanical Gardens at HPU. We are always looking for volunteers to assist with planting and maintaining our beautiful campus gardens. Opportunities range from physical work (planting and maintaining the gardens) to indoor or clerical work (data entry, garden inventories, cataloging photos). Please fill out the form below if you have an interest in assisting us! Thank you for your interest in supporting the Mariana H. Qubein Arboretum and Botanical Gardens at High Point University! Please fill out the form below to allow us to contact you. Hold down the control or command key to select multiple choices. Support the Garden whenever you shop for bulbs! Brent & Becky’s Bulbs (Gloucester, VA), who have donated tens of thousands of bulbs over the year to the gardens, has a program where by you can support the gardens anytime you buy bulbs for your own garden. Visit www.bloominbucks.com, select Mariana Qubein Arboretum & Botanical Gardens and a percentage of your order total will be allocated to purchases the garden can make.